The quality of your home life depends on how comfortable you are indoors where you live, work and play. That's why it pays to consider carefully the kind of heating and cooling equipment used to create your indoor environment. Reno Heating & Air Conditioning offers a wide range of high quality thermostats to provide a solution that will fit your needs perfectly. 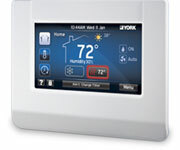 Thermostats have evolved to offer many options for air conditioning, heating and even indoor air quality control. As your premier Reno HVAC Contractor, Reno Heating & Air Conditioning carries a full line of thermostats to cover any indoor comfort control requirement. ColorTouch™ is a multi-functional, simple-to-use, richly featured, programmable touch screen thermostat that thinks it's a digital picture frame. ColorTouch has customizable backgrounds, including the users' own photos, and more than a dozen preset themes, including holiday themes. 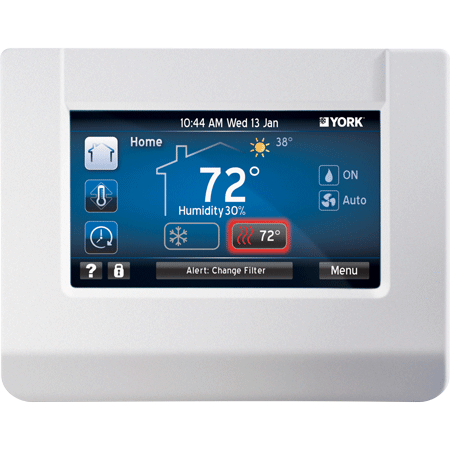 A programmable thermostat that offers the simplicity of today's touch screen cell phones in a smart comfort control with advanced energy-saving features. Phone home to your comfort zone: Download the Intellicomfort™ app for iPhone®, iPad® and Android® mobile devices to connect with the smart thermostat from practically anywhere! A digital, programmable thermostat for precise, 7-day temperature control to perfectly match your schedule. Custom programming reduces energy use while you're away. Backlit digital display makes settings and temperatures easily visible. A digital thermostat for easy, precise temperature control to maintain your perfect degree of comfort. Choose non-programmable or programmable model to fit your system. - Request for - Service Repair Maintenance Estimate Installation Other Are you a current customer?